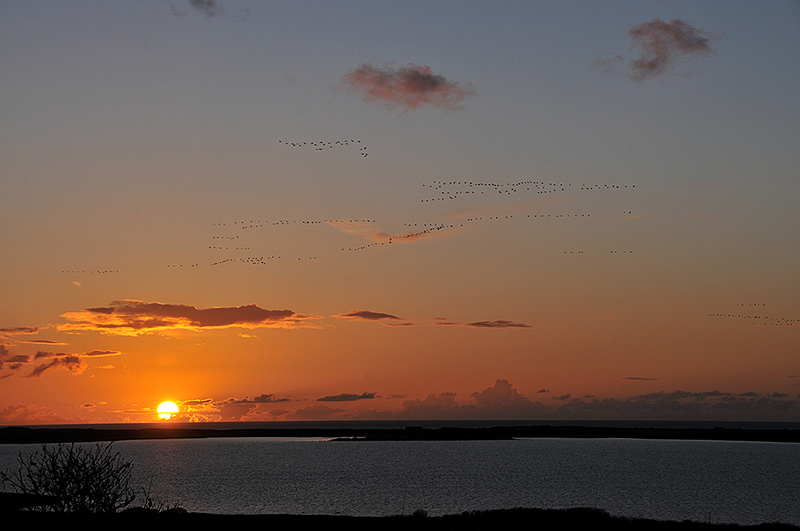 Barnacle Geese high in the air returning for the roost at Loch Gruinart, seen here above Loch Gorm at sunset. This entry was posted in Freshwater Loch, Landscape, Repost, Sunny Weather, Sunset, Wildlife and tagged Barnacle Geese, Islay, Loch Gorm, Saligo Bay by Armin Grewe. Bookmark the permalink. Must have been lovely in real life! What a really stunning shot…!! !